Qwikgear offers a large database of production services including camera equipment rentals in Bangalore. Qwikgear is Bangalore’s largest inventory of rental equipment which supplies the most advanced technology equipment to a broad array of clients in the corporate filming industry. Qwikgear is a trusted leader and provider of camera equipment rental in Bangalore. Qwikgear offers an extensive rental inventory of camera equipment rental bringing the most important and valuable events to a global audience indeed. 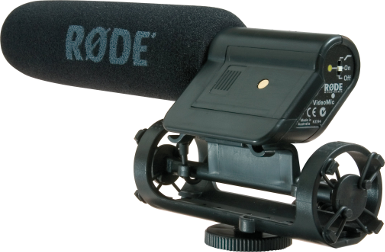 The company also features Rode VideoMic ShotGun rentals which are shotgun microphone based on latest film industry technology for consumer video camera with Compact TRRS cardioid microphone designed for iOS devices and smartphones and High-quality directional microphone that connects directly to the iPhone TRRS microphone/headphone socket with 9v battery operation and 3.5mm headphone output.